Did it start with the umbrella? Ist es mit dem Regenschirm angefangen? 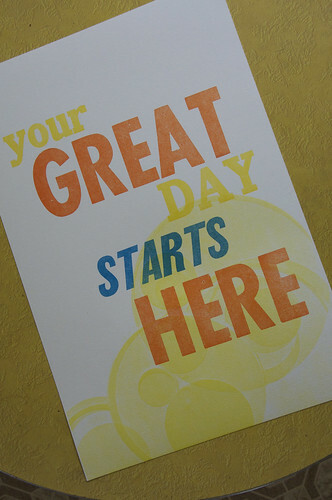 We survived 2012. The world was supposed to end on 3 separate occasions and yet here we are. Imagine that. Wir haben 2012 überlebt. Die Welt sollte wenigstens 3-mal vernichtet worden und trotzdem sind wir noch hier. Wer hätte das gedacht. 2012 was insane for us. 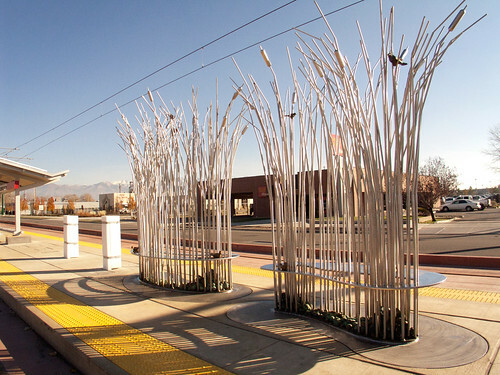 SOP got a sculpture commission for one of the TRAX (light rail) stations on the new line going out to the Salt Lake Airport. While the commission was awarded in 2011, one of the elements required the help of a machinist due to beefed-up specifications on the part of the engineer. For the machinist, this job was minor and he kept putting it behind other jobs that would come in. 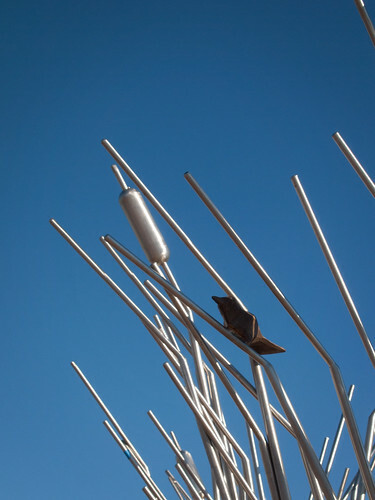 Basically, it was over 6 months after SOP had given them the materials and payment that the job was ready to be given back to SOP to be incorporated into the sculpture. And because the incorporation of these pieces was integral to the next steps, it gave SOP a rather tight schedule for 2012. But oh well. We received word that the installed piece got its final stamp of approval and so now I can post images without worrying that I am jinxing anything. 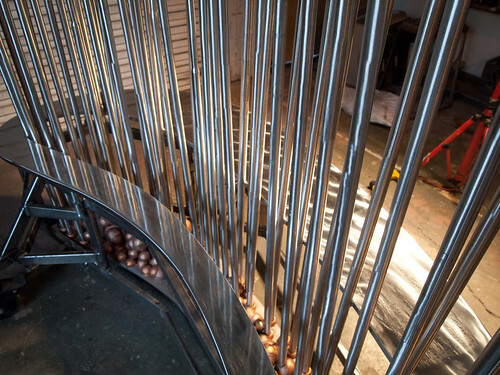 The piece is a representation of the wetlands of the Great Salt Lake. The lake serves as a staging ground for many birds. 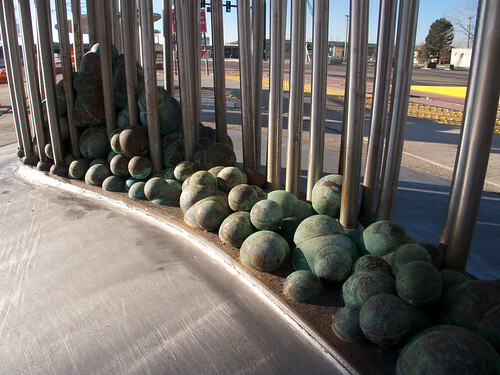 The sculpture consists of two pieces each with a stainless steel base covered with copper spheres and hemispheres representing the river bottom. Twentyfour inches up from the base is the surface of the water – a stainless steel plate with a section cut out from the center through which stainless steel reeds come up. 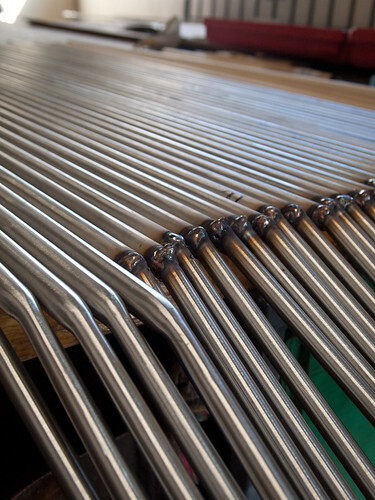 The reed grasses were created with 4 lengths of stainless stell pipe and rod in progressively smaller dimensions, welded together to for the joints of the reeds and then ground back and polished. Additional blades were attached to many of the reeds to add dimension and stability. 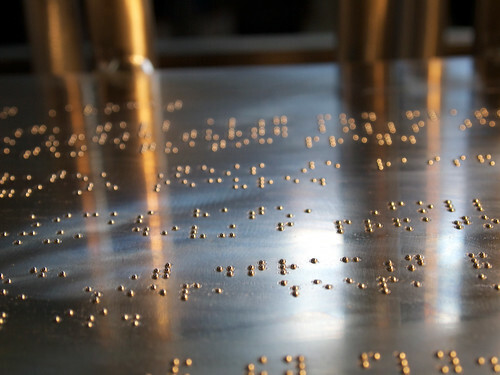 The water surface includes 5 panels of braille which were cut out of the plate, machined to add holes for braille, then welded back in to the surface to create seamless integration. 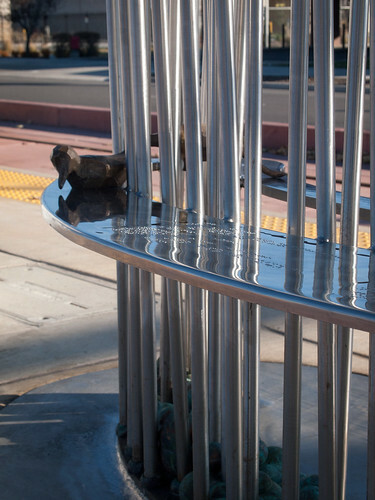 The panels contain lyrical descriptions of the 3 different birds represented in the sculpture, the Great Salt Lake, and then an artist statement. 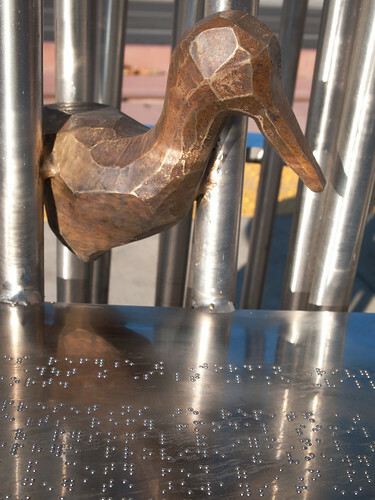 This train stop serves the Utah Library for the Blind and Disabled and SOP really wanted to bring that into the piece. Nestled among the reeds are angular bird forms cast in bronze. The Great Salt Lake is vital to each of the three bird types represented. 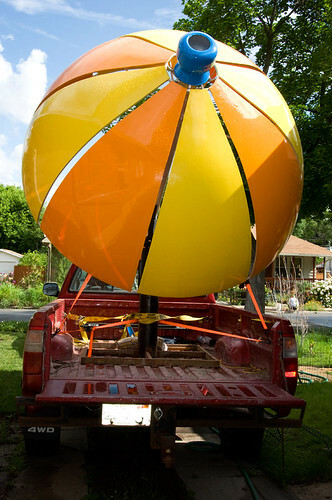 Did I mention that SOP received a public sculpture commission? 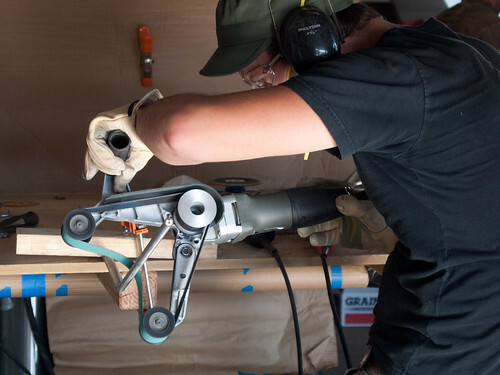 Although he’s been working on it for over a year, the last 3 months have been full on every weekend and most evenings of welding, grinding, soldering, and – most recently – mold-making for bronze casting. The image above shows two rejected forms in the foreground. 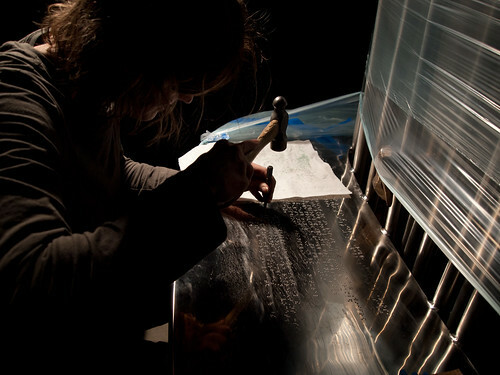 The method used for those was to cut sheets of wax into facets and place them on the form shapes SOP had created. 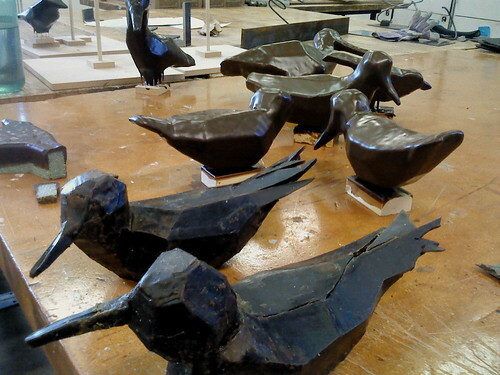 It took us 2 days to get the 2 birds done in this way, which led SOP to think that maybe he would not worry about casting some of them as solid bronze instead of as hollow forms. So, we sent the rest of the weekend dipping the original foam forms into wax to build up a thick shell for the bronze casting (SOP is still planning on scraping out some of the foam on the larger birds as possible). Anyway, that is what we have been up to. Very little knitting has been done, not enough hiking and absolutely no printing -although I did attend a one-day workshop on moveable books with Shawn Sheehy that was very fun! I can’t wait to apply some of the concepts! We did get out to the salt flats for the perseids meteor shower in August. 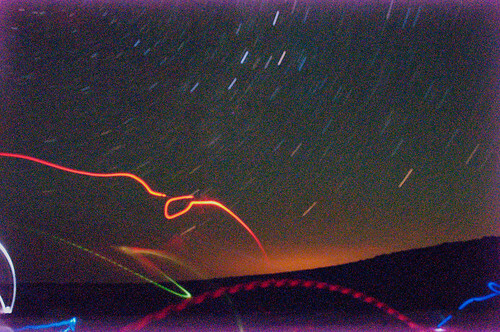 I present you with a long exposure shot from that trip complete with lighted ball, frisbee and headlamp. I am actually not a fan of knit bombing, but when a friend’s sculptures got dressed up, I was pretty impressed. 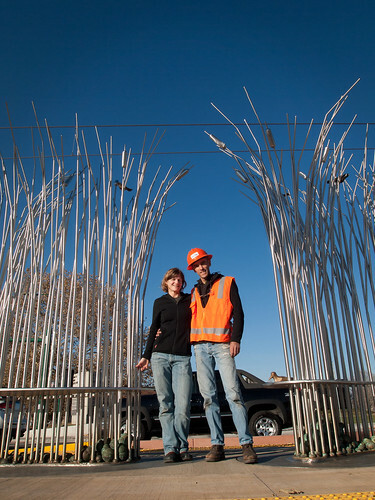 Custom-made outfits for these gorgeous Orpheus and Eurydice sculptures outside of the Utah Opera offices. 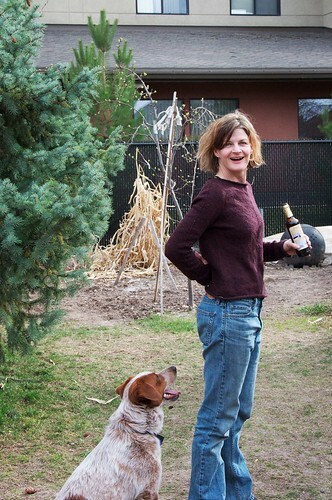 I wonder who got the well-deserved beer? 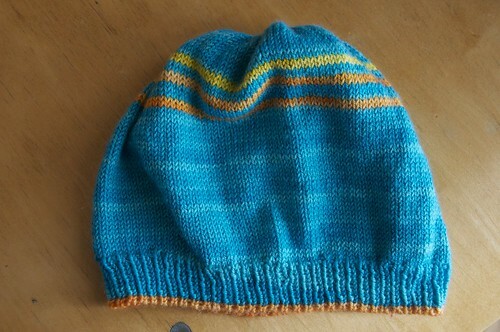 I have been knitting … well, some. I finished a running hat and mitts out of Lorna’s Laces’ Solemate (in Zombie BBQ), and Miriam Felton’s Rill Scarf, but the short days of winter with an extreme shortage of snow this year meant that I took close to zero photos of these items. Snow is my winter energy. Ich habe gestrickt… naja, gelegentlich. Ich habe ein Laufmütze und handschuhe von Lorna’s Laces’ Solemate (in Zombie BBQ) und Miriam Feltons Rill Scarf gestrickt, aber die kurzen Winterstagen mit extrem wenig Schnee bedeutete, daß ich fast null Fotos davon gemacht habe. Schee gibt mir meine Energie im Winter. But a finished sweater is another thing entirely. Aber ein Pullover ist etwas ganz anders. As soon as I saw Friday Again, I knew I had to make it. More importantly, I knew I would wear it. Most importantly, I knew which yarn I would use. Sobald ich Friday Again sah, wusste ich ich wurde ihn stricken. Noch wichtiger, ich wurde ihn tragen. Am wichtigtsten, wusste ich ich welches Garn ich benutzen wurde. I bought this yarn, Rowan Yorkshire Tweed, around 6 or 7 years ago. 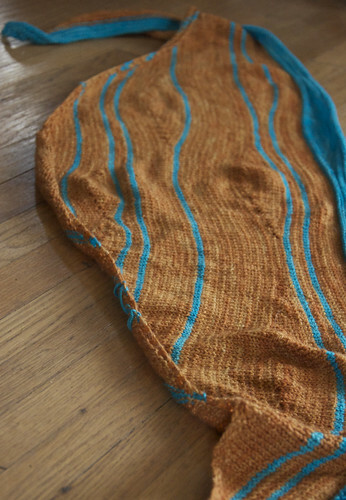 I’ve swatched for several projects with it, but nothing was right – until now. My gauge with this yarn is quite a bit different from the pattern (especially my row gauge) – I ended up making the large (with some additional adjustments for row gauge) to achieve a size between the small and the medium. Ich have diese Wolle, Rowan Yorkshire Tweed, vor 6 oder 7 Jahren gekauft. Ich strickte Maschenproben für einige Mustern, aber keins hatte wirklich gepasst – bis jetzt. Meine Maschenzahl nit dieser Wolle ist wesentlich anders als im Muster gefördert, vor allem bei der Reihenzahl. Ich habe die große Größe (mit zusätzlich Reihen Änderungen) gestrickt, um etwas zwischen eine kleine und mittelmäßige zu erreichen. 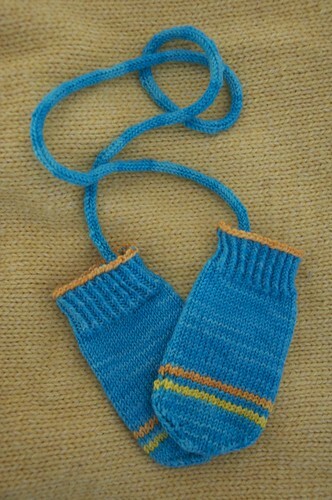 To honor my fascination with gussets, I added tiny underarm gussets, 1inch in width by ~ 1.5″ in length”. Um meine Fascination mit Zwickeln zu befriedigen, habe ich kleine Zwickeln (etw. 2×3 cm) in den Unterarmeln gemacht. 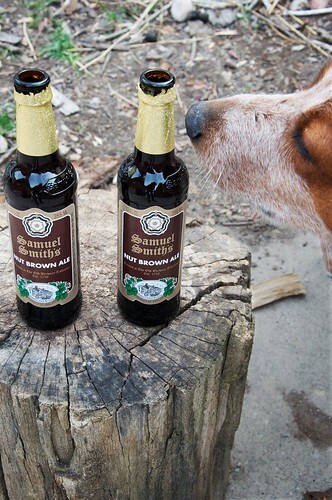 Well, I would have loved to have scored ANY beer from Black Sheep Brewery in Yorkshire, but that was out of the question, so I chose Sam Smith’s Nut Brown Ale, fermented in stone Yorkshire squares. 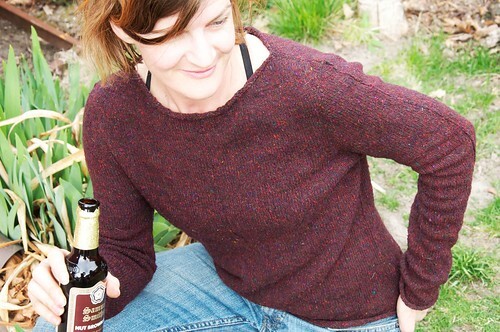 A rustic beer for a tweedy sweater. Ich hätte so gern ein Bier von Black Sheep Brewery in Yorkshire anschaffen können, aber so was durfte nicht sein. Deshalb habe ich Samuel Smith Nut Brown Ale, fermentiert in Yorkshire Stone Squares, gewählt. Ein herbes Bier für ein legeren Pulli. Have you met Bubbles yet? Habt ihr Bubbles schon kennengelernt? This is a Flickr badge showing photos in a set called Flying Objects. Make your own badge here.